80 percent of Catbalogan’s old city is at risk from landslides, storms and floods. It is also highly congested. 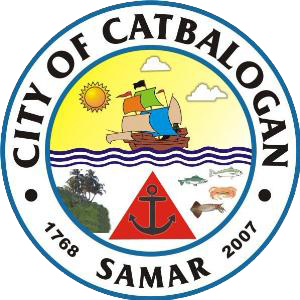 To tackle these issues, Catbalogan is building a new city, called Sky City, on 440 hectares of land 120 meters above sea level. Sky City will be structured to facilitate four aspects: learning, working, playing and resting. It is designed to encourage walking and biking to reduce transport emissions. Power will come entirely from renewable sources (geothermal, wind, hydro and solar), and every household unit will incorporate a garden. Sky City will be a model of sustainability for the country and the world. The project has a high up-scalable value or features – underpinning the following: local, regional, national and global climate change mitigation and adaptation relevance. From local context, it will be a decongestant or renewal device wherein 80% of the Old City Center is landslide, storm surge and flood prone. 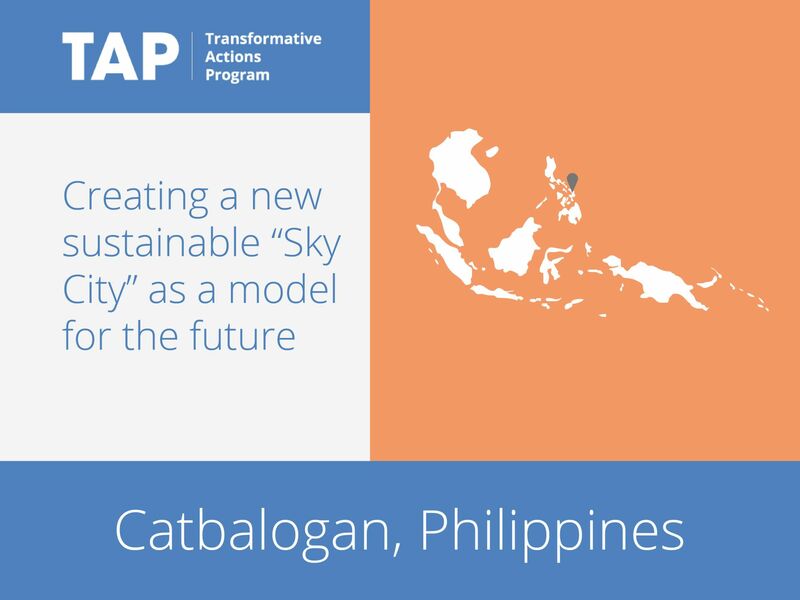 From regional perspective, based from ST. Haiyan Experience, the Sky City will be the alternate regional center and at the same time a “City Size Regional Evacuation or Relocation Center” in lieu to the climate change vulnerabilities caused by the Highly Urbanized City of Tacloban City and to the rest of ST. Haiyan Corridor. From national perspective, a human catchment city of mega cities vulnerable to disaster and to the brunt of climate change – such as the high density of Metro Manila, the Capital of the Philippines. The project compactness yet sprawling is anchored on walkability and bikeability to minimize carbon footprint. Inside the Sky City there will be multiple small clustered Centers wherein its mass transport system terminals will be just within the City and/or within 15 minutes walking distance.